Platform architecture (64-bit or 32-bit, x86 or ARM). Platform type (desktop, mobile, Web). Supported texture compression algorithms on the platform. Whether a build is debug or release (debug includes the editor). Whether the project is running from the editor or a “standalone” binary. 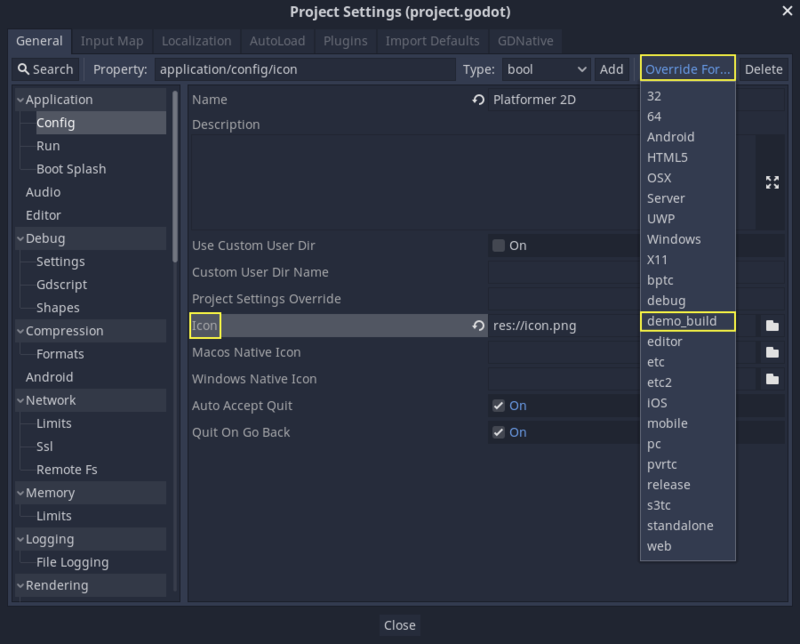 Features can be used to override specific configuration values in the Project Settings. This allows you to better customize any configuration when doing a build. In the following example, a different icon is added for the demo build of the game (which was customized in a special export preset, which, in turn, includes only demo levels). There are already a lot of settings that come with overrides by default; they can be found in many sections of the project settings. 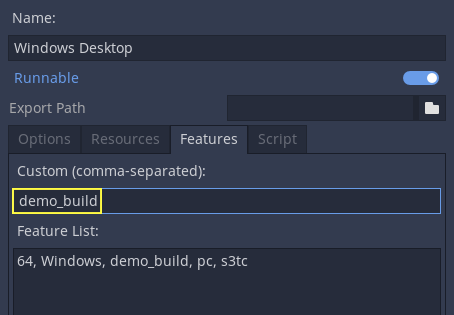 Feature tags can be used to customize a build process too, by writing a custom ExportPlugin. They are also used to specify which shared library is loaded and exported in GDNative.